A misdemeanor conviction may or may not include jail time, and often incurs penalties like expensive fines, probation, mandated community service, and the acquisition of a criminal record. It could also make it difficult for you to find work, obtain a loan, or even find a place to live. Young people charged with drug or alcohol-related misdemeanors may find it hard to get a head start in life. 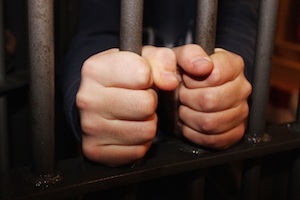 In cases that involve youthful indiscretion, our Kent misdemeanor lawyers aggressively pursue all legal options to prevent the accused from acquiring a criminal record. If you're looking for a lawyer whom you can trust with sensitive legal issues, contact our Kent law office today. When you contact our law office, a Kent misdemeanor attorney will help you better understand the penalties associated with your charges. Misdemeanor convictions for a DUI often include a driver's license suspension, and in other cases discretionary penalties may be imposed by a judge. Our Kent misdemeanor lawyers will investigate you case to see if it's possible to have your charges dismissed. If not, we may seek to mitigate the penalties by pursuing a plea agreement with the prosecutor or by taking your Kent misdemeanor case to court. Please review this basic information about common misdemeanor crimes we encounter in Kent. Driving Under the Influence (DUI) - Drunk driving crimes that qualify as misdemeanors include minor DUI, physical control violations, racing, and reckless driving. If you've been arrested for a DUI, our Kent misdemeanor criminal attorneys can offer you legal guidance based on real-world experience. We will fight to keep you out of jail and validly licensed, but there are never any guarantees in these often complicated cases. Domestic Violence - Less serious cases of domestic violence qualify as gross misdemeanors. Sometimes innocent people are accused of domestic violence, and if this happened to you our Kent misdemeanor criminal lawyers are ready to help. Drug Crimes - People in possession of small amounts of drugs can be charged with a misdemeanor. Even a minor drug crime conviction can cause irreparable damage to your reputation, so our Kent misdemeanor lawyers fight hard to minimize the repercussions of a conviction. Theft Crimes - Shoplifting - Shoplifters are often prosecuted to the fullest extent of the law. Do everything you can to minimize your punishments with help from our Kent misdemeanor lawyers. Talk to one of our experienced Kent lawyers about your misdemeanor case today without any obligation. Schedule a free consultation today and find out more about how we protect the legal rights of our Washington clients.